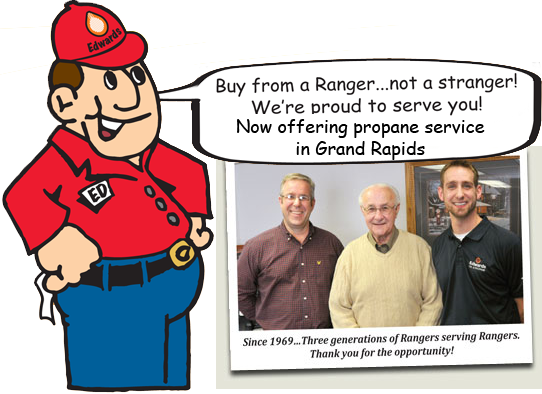 Edwards Oil & Propane – Serving Our Great North Country! Edwards Oil and Propane is proud to serve you! A 3rd generation, Family-Owned, Local Business, we have roots in Northeast Minnesota dating back to 1969! We offer Fuel Oil and Propane delivery and offer an in-house service department to make repairs to heating appliances when you need them! with our residential heating programs! At Edwards Oil and Propane we deliver piece of mind. Customers can rest assured knowing that heating your home or business will be simple, reliable, and inexpensive with fuel delivered by Edwards. Our residential customers have exclusive access to our trained heating and cooling technicians.